"Today's tournament was brought to you by Gag-A-Lot Cola. It'll turn your life into swill!" Waaaaaiiiit a minute. Haven't I reviewed this DVD before? Due either to a lack of judgment or some subconscious form of movie masochism, I picked Duel Masters: The Good, The Bad and The Bolshack out of the review pile. Convinced I would be seeing Yu-Gi-Oh! all over again, Duel Masters was worse in one way, but better in another. It actually had me laughing, but looked worse than its more popular predecessor. Duel Masters: The Good, The Bad and The Bolshack is another kids feature animation that is primarily about plugging a card game, but unlike Yu-Gi-Oh!, Duel Masters actually has something resembling a plot. I think. Shobu is a young kid who is a rising star in the world of card dueling. After winning a highly-publicized amateur tournament, two sinister groups go after him. One wants to recruit him, the other just wants to beat him. Shobu is the son of a legendary duel card player, who only shows up in flashback scenes. When Shobu finds his back to the wall during duels, he finds strength in his father's lessons. Shobu is tailed by best friends Rekuta and Sayuki, who root for him during every duel. When new, shy girl Mimi joins their group, the friends spend most of their time explaining the rules to her, and us. Between duels, Shobu and friends attend school, and despite the teacher's rules of "no cards" in the classroom, they pull out their decks and draw up game plans. It all adds up to a young teen show with little heart and lots of repetitive naming of cards that fans can buy at comic book stores. The animation in Duel Masters is cheap for the most part, with stumbling character movements and uninspired backgrounds. The only sharp parts come during duels, when digitally animated monsters fire against each other. The only good part of Duel Masters lies in the dialogue, which doesn't try to be serious or self-serving, like Yu-Gi-Oh! "Do they always do that?" Mimi asks after Shobu blows up a few of his opponent's cards. "Depends on how much they budgeted for animation," Rekuta replies. "Got to go. Got a duel with a crazy man in the park," Shobu says to his mom, who doesn't bat an eye at the comment. "Wait, the music cue just changed abruptly. Something's not right," he thinks to himself during a duel. I'll hand Hasbro and ShoPro this: they know this stuff is meant for young, pre-teen kids, with short attention spans. May as well have fun with the dialogue to keep the rest of us from screaming for the remote. I'll never understand the appeal in dueling card games, but Duel Masters: The Good, The Bad and The Bolshack produces a couple chuckles. But when the only redeeming value of an animation is its own self-mockery, there's no need for anyone but Duel Masters fans to watch it. It's a story based on a silly, niche game with excitable characters and a couple cute girls. Or as Rekuta says: "Sounds like the plot of a Japanime cartoon." This DVD (and the animation itself) is full of flaws. Ghosting is regular, even to the naked eye, and there's a good amount of shimmering, and a few spots where colors bleed. The animation is cheap, but at least the creators realize it. 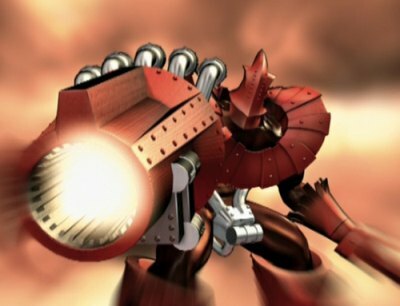 Subdued, soft and generally unpleasant, Duel Masters: The Good, The Bad and The Bolshack is just bad animation. The only parts at all that looked good were the digital monster bits. Full screen presentation for this movie. Simple 2.0 English stereo option, with very little use of the sound stage. Heavy on the dialogue, Duel Masters: The Good, The Bad and The Bolshack has a lot of yawner action sounds during duels. Nothing wrong with the sound, but nothing special either. 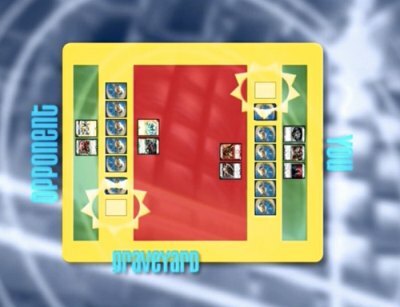 There's only one special feature here, a lengthy how-to for the Duel Masters card game. Unlike Yu-Gi-Oh! The Movie, viewers new to these games actually get a coherent explainer on what cards do what and what the rules are. The game is simpler then it looks, and for the parents who want to indulge their kids with a game or two of Duel Masters, the feature will help you bone up on the rules. But that's the only thing on here. Hey, if you're into these card games, you're going to love the movie regardless of what I say. 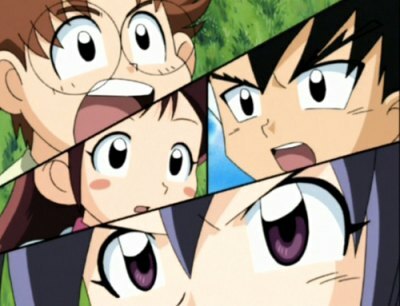 Duel Masters: The Good, The Bad and The Bolshack is a step above Yu-Gi-Oh! but only because the creators knew how silly all of this is, and didn't try to pass it off as serious, dramatic or worthy of contemplative thought. 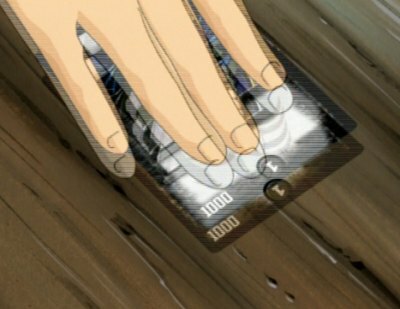 Still, Yu-Gi-Oh! looked better. Rent it if you have a youngster who's into this stuff. Skip It if you don't want to waste an hour of your life.